Southwest GardenSmith - Gardening in the arid Southwest U.S. can be challenging and rewarding! Gardening in the arid Southwest U.S. can be challenging and rewarding! Recommended donation - $10/yr. Thank you. 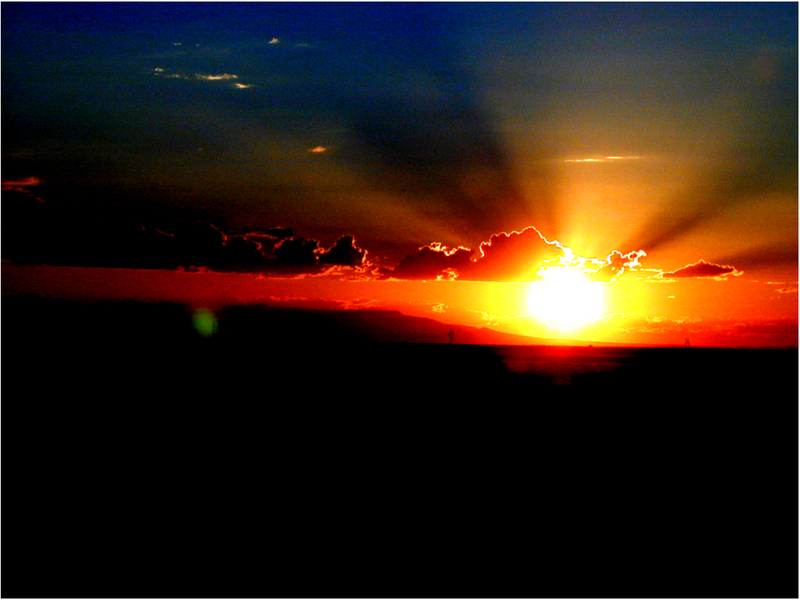 The Southwest has great sunsets! Sunset in western New Mexico near Shiprock. Interviewed by Larry Ahrens on KCHF – time to irrigate trees and shrubs. 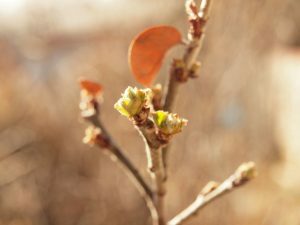 A WordPress Commenter on Southwest GardenSmith! This morning I was honored to be interviewed by Larry Ahrens on KCHF tv’s “Coffee and Conversation with Frank and Larry”. He asked about things to do at this time of year (early March) in Albuquerque gardens. We discussed soil preparation, garden planning, and the importance of seeing that there is moisture in the soil to a depth of 2 to 3 feet for trees and shrubs. 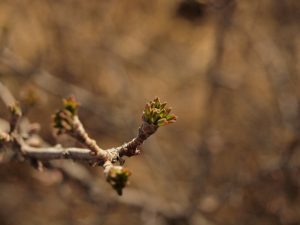 This is the time of year that tree and shrub buds are beginning to swell, indicating that they have broken dormancy and are producing hormones (auxins) that translocate to plant roots to stimulate root growth. It is important that these tender new roots, hair roots, and root hairs are produced in adequately moist soil to prevent their desiccation and death. 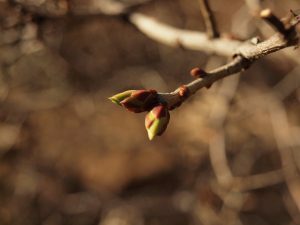 In a few weeks leaves, flowers, and new growth will be produced in the branches of the tree and those new roots must be alive to send moisture to support the new growth. 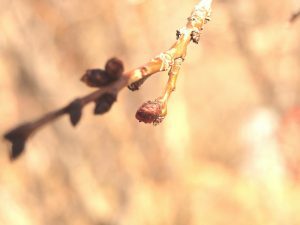 This past winter was pretty good as far as moisture in many places, but January, February, and March are often dry months, so it is up to us to provide the moisture necessary for the new roots and later for the new growth in the branches. Probing the soil with a soil moisture probe or irrigating now are ways to be sure these new roots get a good start in life. When I check the depth of soil moisture in my garden with a soil moisture probe this morning, I discovered the soil was moist to a depth of 1.5 to 2.5 feet in areas where I have not irrigated or where have not irrigated since January. 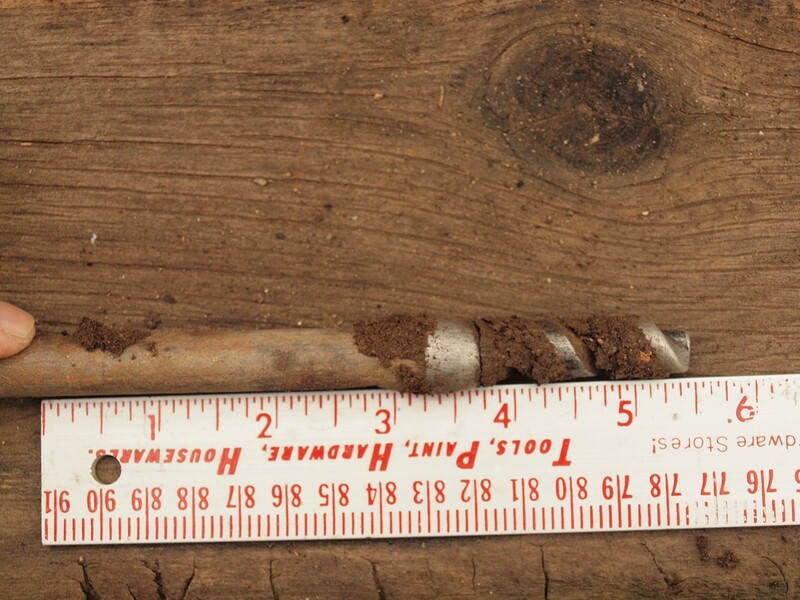 In areas that I irrigated in February, the soil was moist to a depth of 2.5 to 3.5 feet. Even though the winter provided some precipitation in my garden, it is drier than I thought, I am glad that I did irrigate some during January and February. It is time to begin irrigating again. 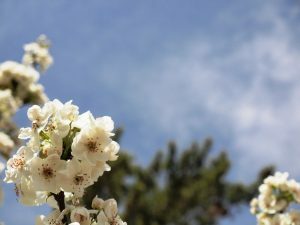 Posted on March 4, 2019 Categories UncategorizedTags irrigation, shrubs, Soil moisture, soil moisture probe, treesLeave a comment on Interviewed by Larry Ahrens on KCHF – time to irrigate trees and shrubs. Silverleaf nightshade is a beautiful plant, but the beauty is a beast! 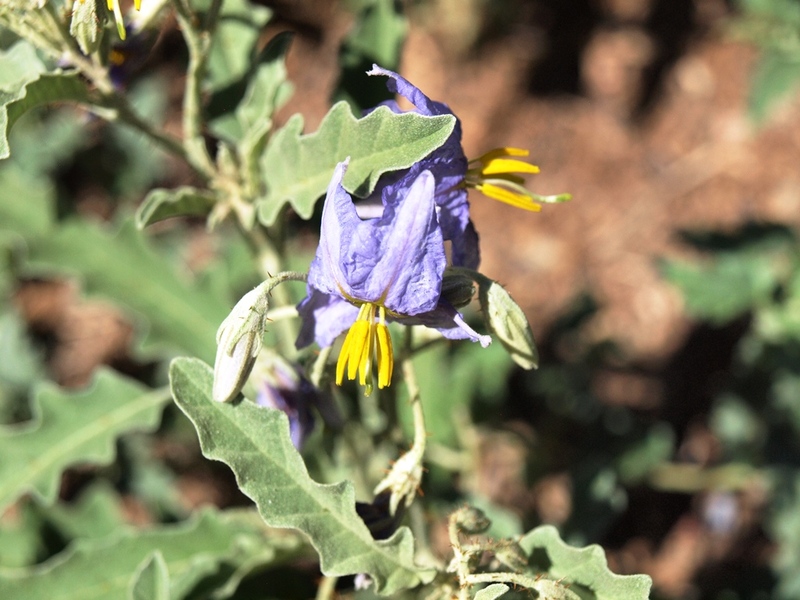 The silver leaves are attractive, but their blue flowers with prominent yellow stamens attract a lot of attention. 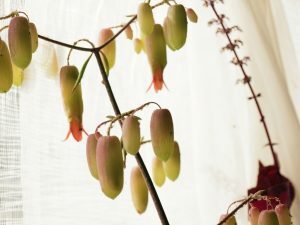 This plant’s attractive characteristics hide some unattractive features. 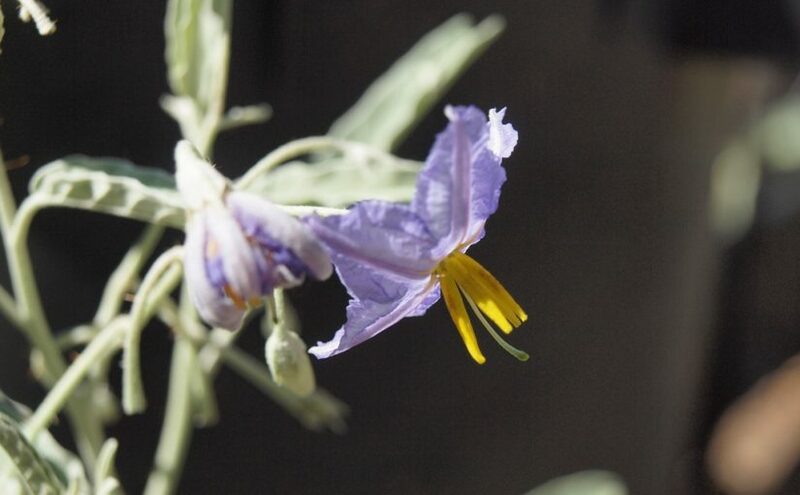 It is related to deadly nightshade and is itself listed among plants toxic to both humans and livestock. 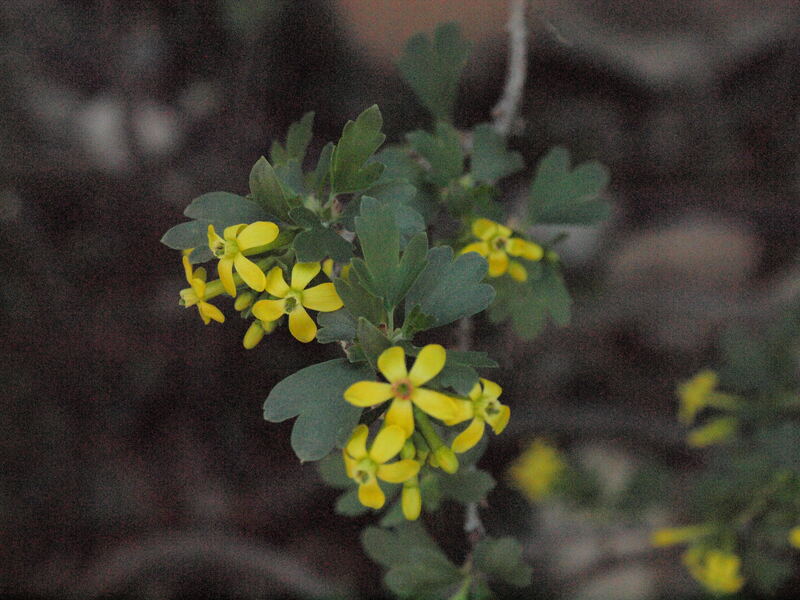 More than that, it is listed as a noxious weed in several states and acknowledged as a weed in most others. It is, however, a relative of tomatoes, tomatoes, and chiles. 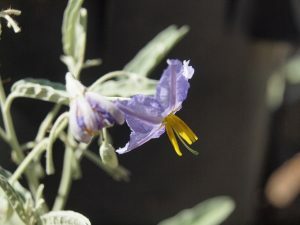 These are all members of the Nightshade family, Solanaceae, and most members of this family do contain toxic elements in some of the plant parts. 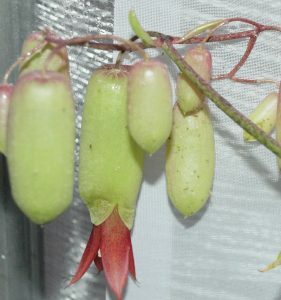 If that was not enough it produces spines on most above ground parts of the plants. 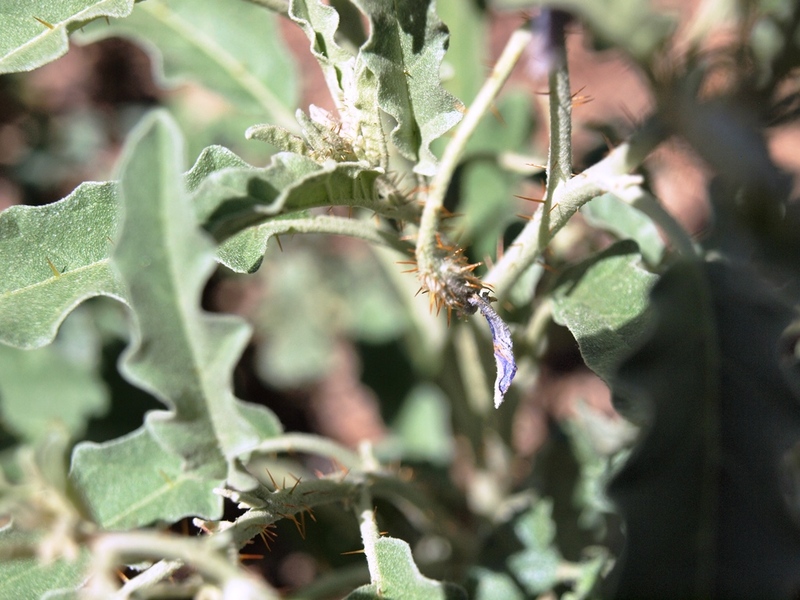 While some plants produce more spines than others, and it has been reported that plants growing in humid climates produce few or no spines, for gardeners in the Southwest, this plant produces some spiny problems. 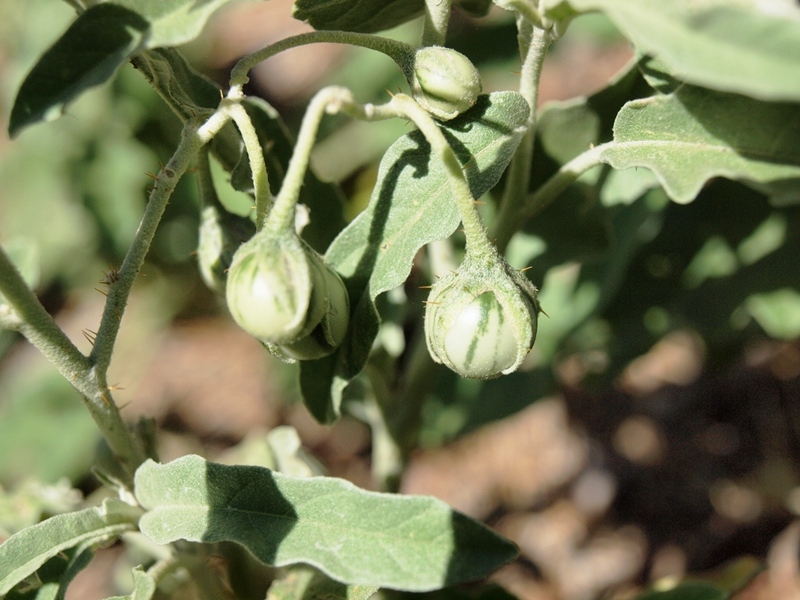 The unopened flower buds produce spines. 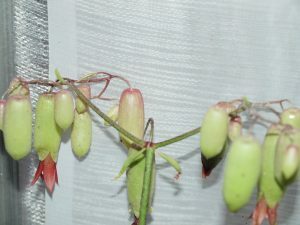 The spent flowers have spines. 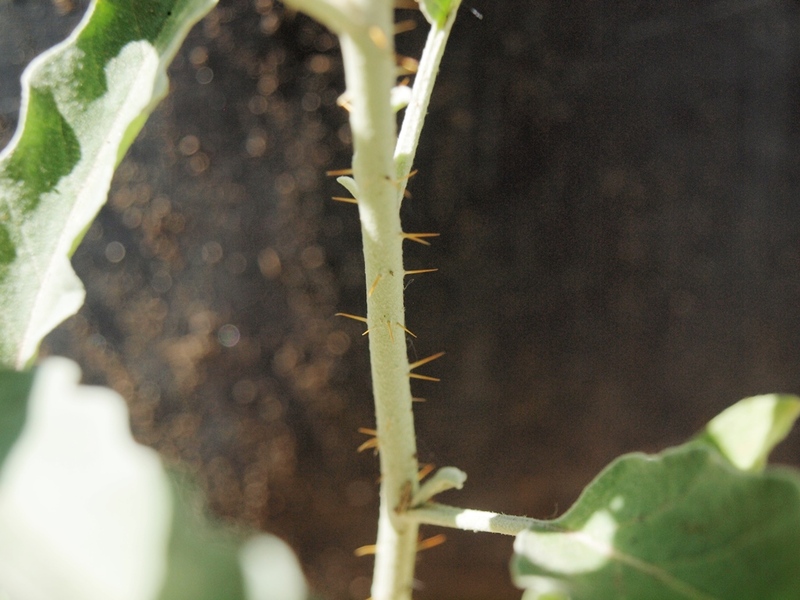 Spines can be found on leaves, buds, everywhere above ground! 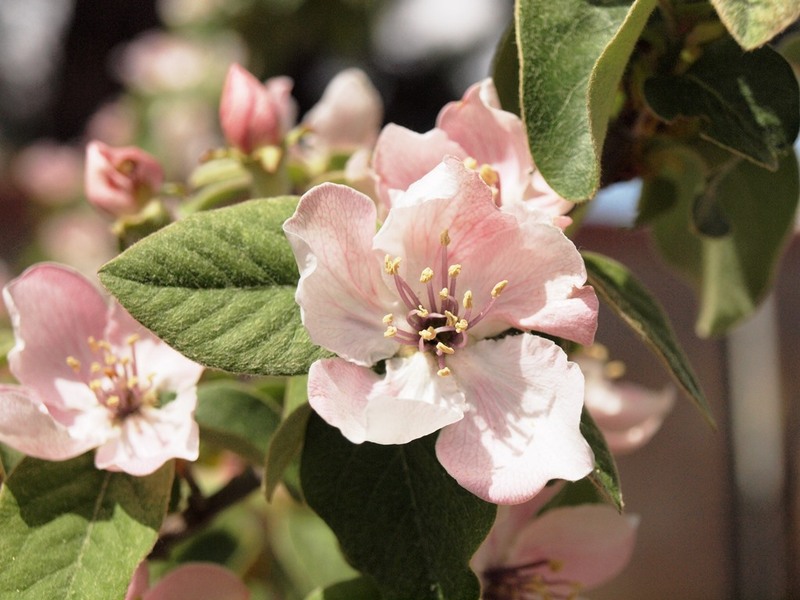 Even the fruit produce spines on their sepals. 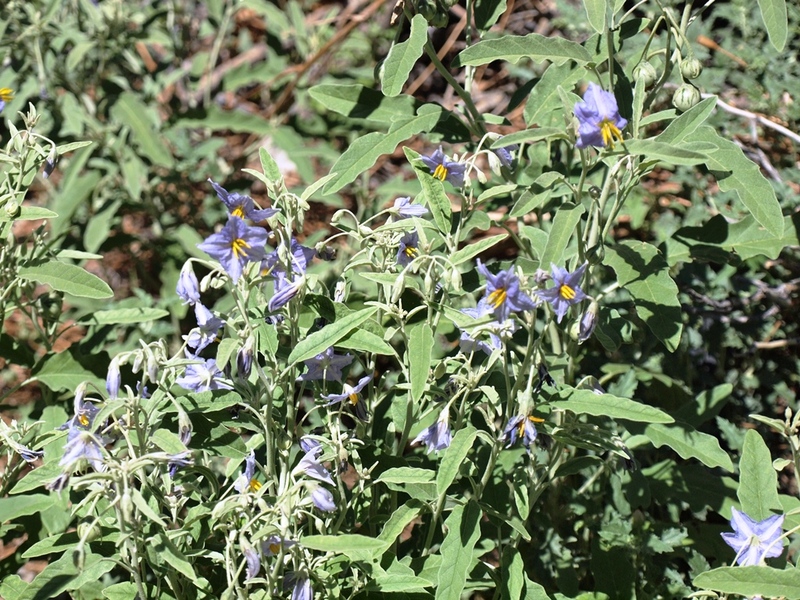 Silverleaf nightshade is a weed with a deep taproot that allows it to survive in very arid environments. 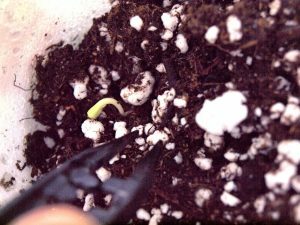 Even a small piece of root left in the soil will generate a new plant. Plants in a clump are often attached to each other by underground stems, so that they can help support each other. This makes them survivors, it also makes them weeds. As weeds we try to remove them, but be careful, the spines easily break after piercing your skin and become difficult to remove. These spines can sometimes even penetrate leather garden gloves! So can there be anything good said about these plants? Well, they are beautiful, but the beauty is a beast! They are toxic, but like many toxic plants, the toxic principles can be curative when used properly. 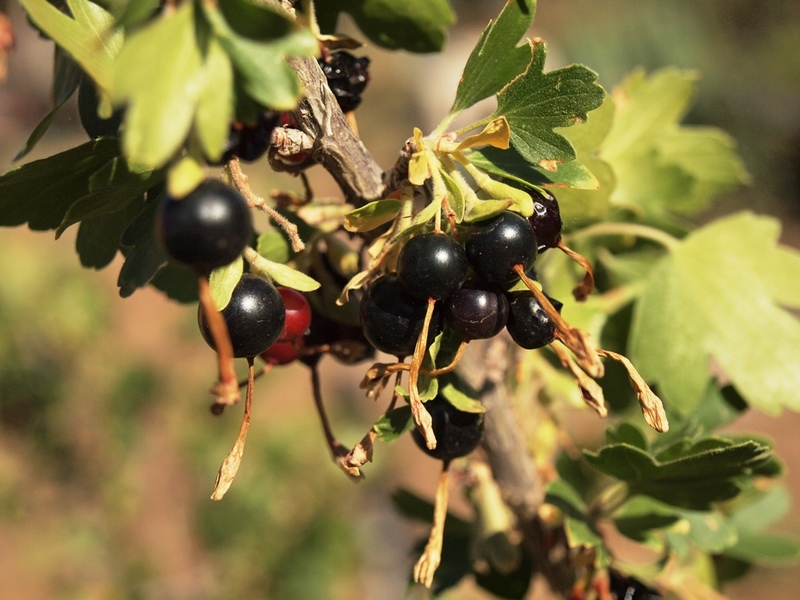 They were used medicinally and as beneficial plants by native people. They were even able able to use the ground, dried, fruit to curdle milk to make cheese. Never the less, the beauty is a beast! 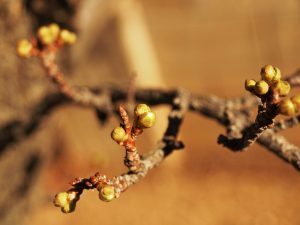 Golden Currants, Ribes aureum, are a reliable, consistent producer in my garden. 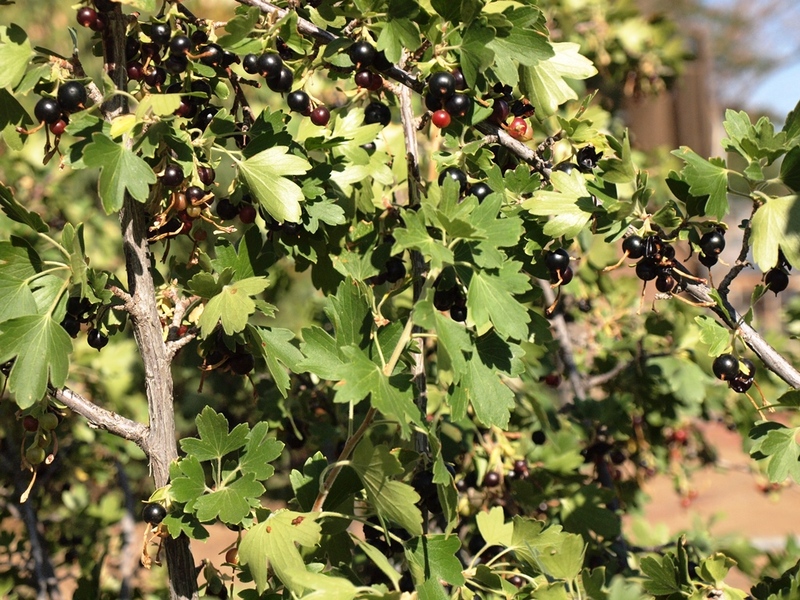 The black berries must be picked individually by hand, but make a delicious jam or preserves. In this drought year when the garden has received only about 2 inches of precipitation since October, none from October to January and none in April, it still made a crop. I did irrigate a few times, but only minimally. Even after harvesting over 2 gallons from a few plants, there is much more to harvest. Birds and a berry moth (their larvae) are the primary problems, but I still have a bountiful harvest of tasty berries. 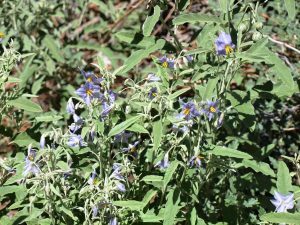 Fragrant golden flowers followed by abundant harvest, even in times of drought, make these reliable producers a good choice for gardens in New Mexico. 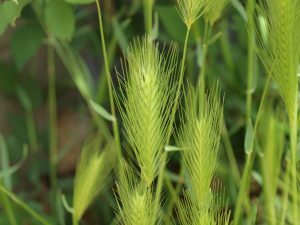 Hare barley and some other grasses, such as foxtail barley and purple three awn grass, have characteristics that can be harmful to pets. 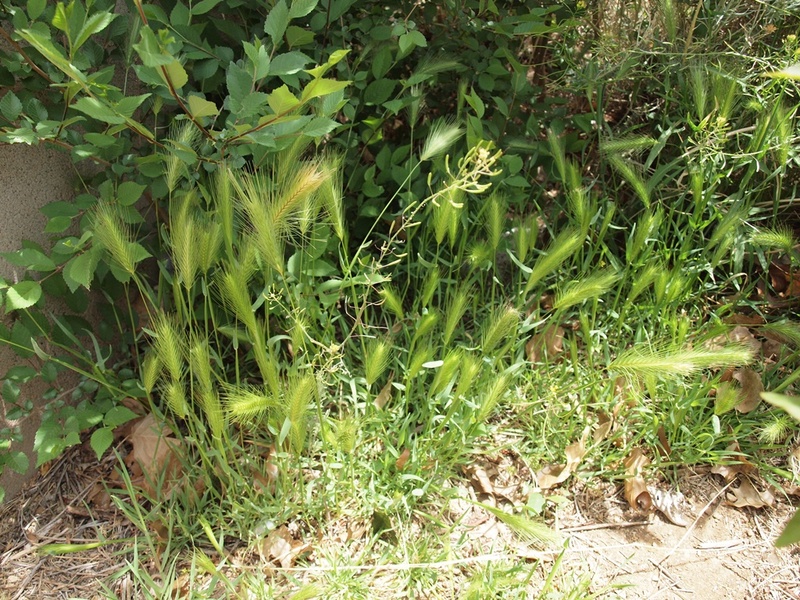 These grasses are harmful plants that have awns, long threadlike extensions from the florets in the seed head. These awn have very small backward angled spines. 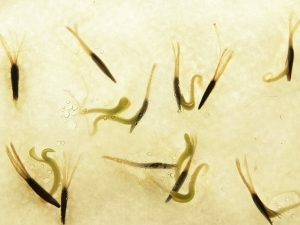 These awn can enter a pets eyes, nostrils, ears, or even penetrate their skin. The backward spines prevent the awns from working out the way they entered, they only work deeper into the eyes, nostrils, ears, or skin. A few years ago my pet Brittany, Joy, had one enter between her toes and work deeply into her paw. She began limping and the veterinarian had to extract the awn. This is when I learned that this is an extremely common problem for pets. In a year like this year when there has been little rain (just over 1 inch from October to late April), anything green seems to be a blessing, but that may not be the case, especially if you have pets. 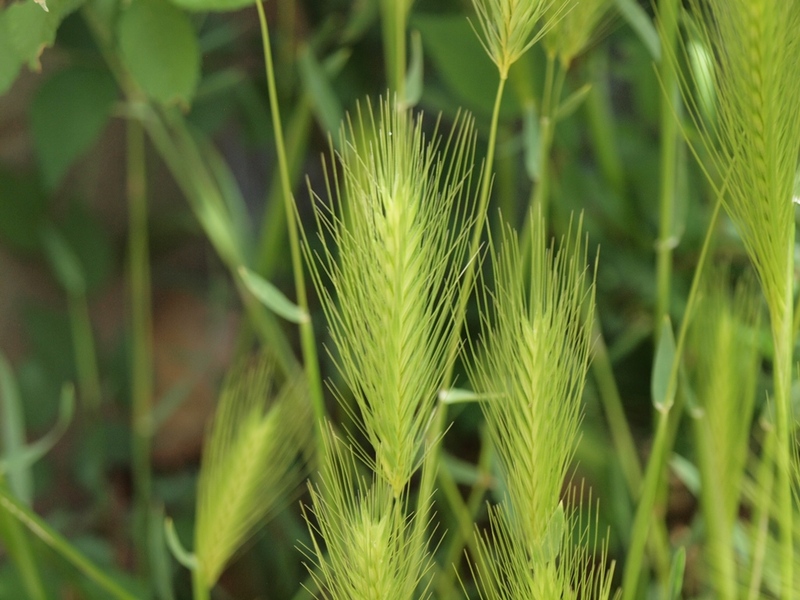 In garden hare barley and foxtail barley are sprouting and the hare barley is beginning to produce seed heads. I think I have eliminated purple three awn grass from my garden, but I will be watching for it. All these grasses are pretty, so it is tempting to allow them to remain, but if you have pets it is best to eliminate these grasses. There are herbicides labeled for management of these grass weeds and other harmful plants, but if you are like me and have pets you may prefer to use manual means of weed management. Hoeing them when they first appear in late winter is helpful. If they are numerous and you cannot manage them by hoeing, you can use a torch to burn them, but be careful that you do not start a fire or damage desirable nearby plants. This year’s drought has been a blessing in limiting the number of plants that are growing to a relatively manageable few in my garden. I have been pulling, digging, and hoeing them for several months. Now, as the seed heads form and I can specifically identify the worst of the weed grasses, those with harmful awns, I can specifically target those plants. I’m a little late with this. The renewing has begun! And Winter now depresses me. The leaves turned brown with somber sigh. Has hushed the sound of plants that grow. The life I saw ‘fore leaves did fall. The return of Spring’s appointed date. And flowers in the meadows be. And melt away the winter snow. Such pleasure after winter’s wait. A time of joy when life anew. And Easter calls to mind the Truth. There is an old song “Count your blessings.” I was thinking of this and its relevance to gardening. There are many ways it is relevant; there are many blessings to be gained from gardening. However, in an unusually dry year is there a blessing? A “bright side”? 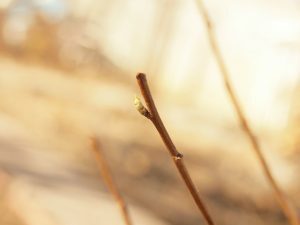 As I was looking at my garden, the dust, the rock-hard, dry soil, and the need to irrigate, I began to notice the bright side – there are very few weeds growing in my garden. Where I irrigate there will be weeds, but that is where I will need to manage weeds – another bright side! Where I do not irrigate, there will be no, or at least, few weeds. So in this dry year, I will count my blessings, I will see the bright side. Then when the rains do come I will enjoy the moisture and enjoy the silver lining to the clouds, literally and figuratively. I will see the blessings! It is important to know if you are purchasing from a good nursery company. How can you identify a good nursery company? A company’s reputation is a good first indicator. Some companies have been in business for many years and built good reputations. However, this is not always reliable. One of my favorite nursery companies from the past had a period of financial difficulties and their quality slipped. I think they are recovering, but I have not ordered anything from them since their problems. In one instance I ordered sweet leaf (Stevia) plants from a company I had never heard of before. 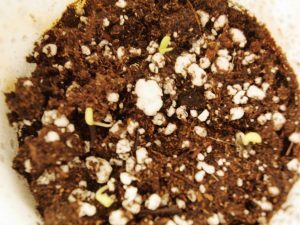 About a month later the plants arrived – fortunately I was able to recognize that they had not shipped Stevia plants, they sent me banana plants. I think this company is just a gatherer of orders and then submits orders to other, real, nurseries. Of course, I was not able to contact this company after the shipment. I still have one banana plant surviving from the plants I received. I had also given some away to friends. 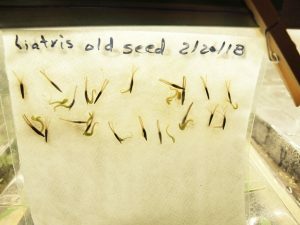 I followed up with an order to a well known, reputable seed company – Park Seeds. Park Seed Company sent me real Stevia plants. Park Seed Company has been in business for 150 years and I have ordered from them many times with good success. This is a good nursery company. This autumn I had an interesting experience that I though was not going to work out well, but I was wrong. I ordered some plum trees from a very reputable nursery. I received one of the trees and a notice that my order for the other tree was cancelled (and I was not charged), because that variety had sold out. I was quite disappointed that they were selling more than they had in stock! A few months later I received an e-mail stating that the tree I wanted was back in stock, but when I checked it was a standard size tree, not a dwarf as I wanted. 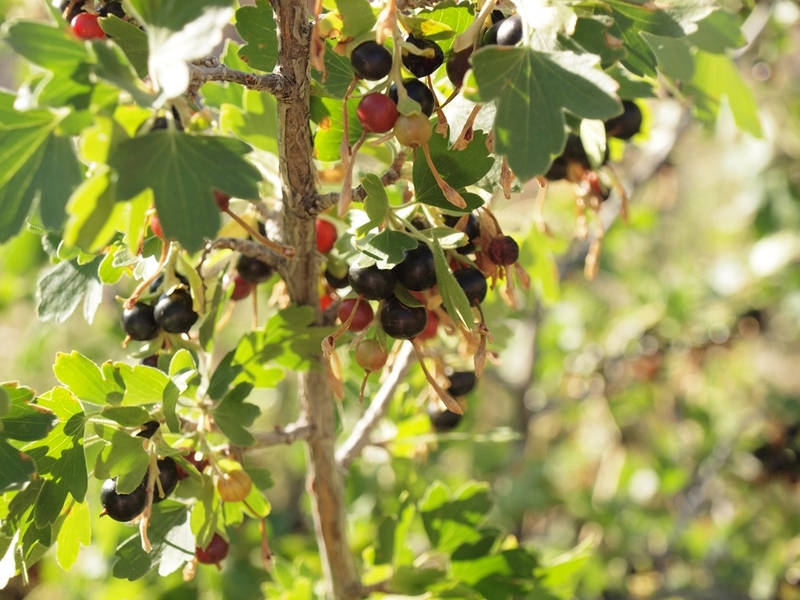 However, I placed an order at that time for a different variety of dwarf plum tree. When the tree arrived, it was not the tree that I ordered, it was a pecan tree. I sent an e-mail to the company on Saturday, explaining that they had shipped the wrong plant. On Monday I received a reply that they were correcting the error. A few days later I received the Redheart dwarf plum that I had ordered. The company told me to keep the pecan tree – Well done Stark Brothers Nursery! Another good nursery company in my experience and from discussions with other gardeners. Pay attention to how a company treats you and the quality of the plants that they ship. This way you will have a better chance of getting what you want and getting good quality plants. Never the less, it is good to periodically try new companies to see if you want to add them to your list of quality suppliers. 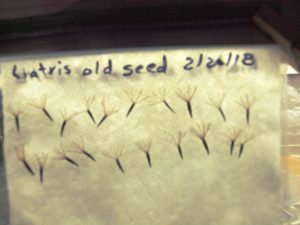 I often have seed left from previous years and wonder if they are viable. Sometimes my plants will surprise me with seeds, but these seed often are not viable and do not grow. 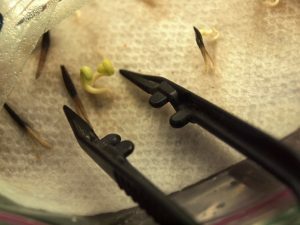 Testing the ability of these seeds to germinate saves time and space in my garden. 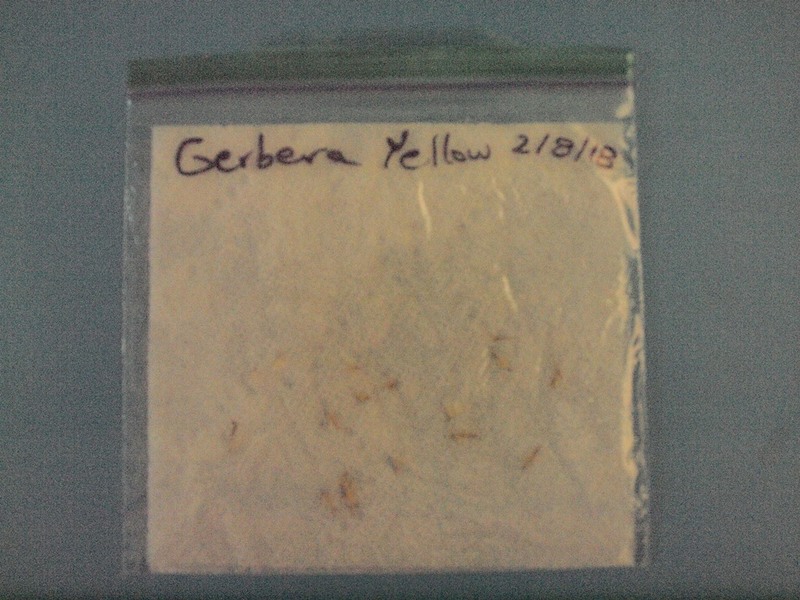 Recently my gerbera daisy made seeds, so I tested them. 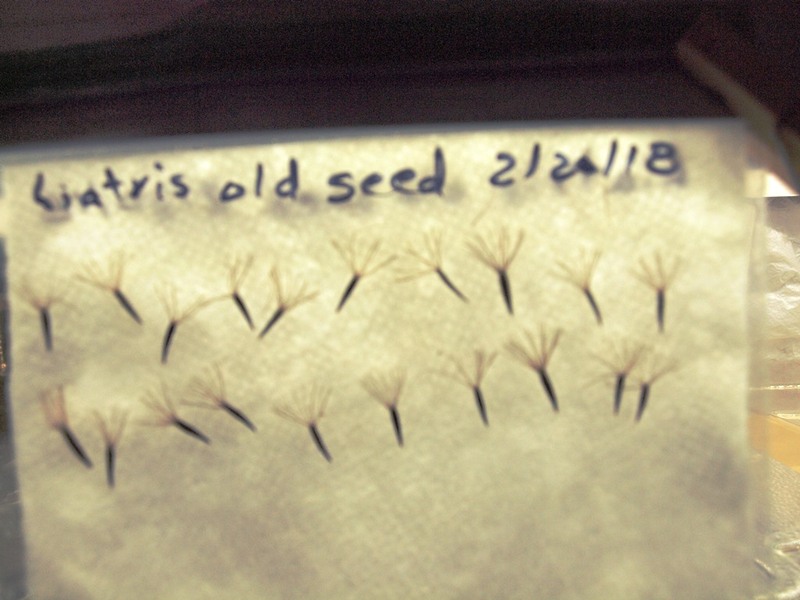 I also found some one-year old liatris seeds that I decided to test. They are growing well and I will transplant them to the garden later in the spring, or give some to friends. This is an update to the previous blog regarding precipitation and depth of soil moisture.